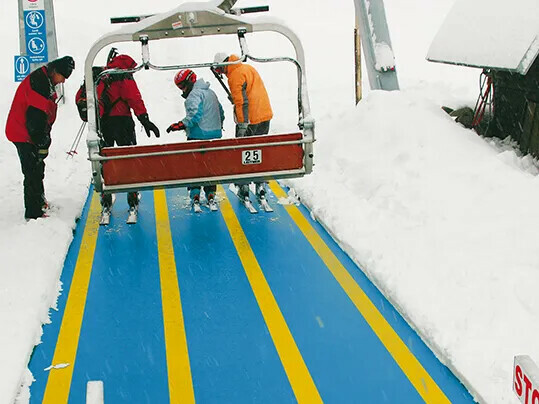 With their special coatings Siegling Transilon conveyor belts with fabric tension member and Siegling Prolink plastic modular belts provide ideal grip and a safe foothold for skiers. Permanent access markings can easily be applied. Individual modules can easily be exchanged in modular belts saving time and increasing the period the conveyor can be operated.